Our top priority is to help each business student grow and succeed— in college and beyond. Pitt Business academic advisors work closely with students to develop a personalized plan for how they will go From the Classroom, To the City, To the World. 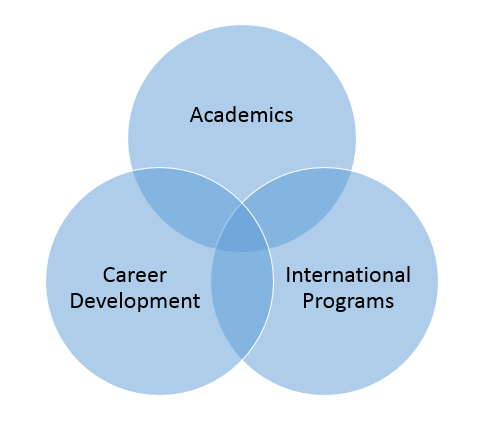 The pathway is based on the student’s unique strengths, goals, and ambitions. Since no two students are alike, no two plans are ever the same. 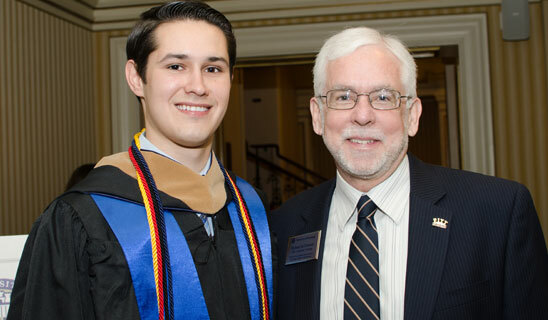 Pitt Business students are supported by the same academic advisor throughout college. Advising appointments occur face to face and happen every semester. Students receive holistic guidance on how they can maximize the opportunities from our academic, career, and international programs, and we ensure they stay on track to graduate on time. The Pitt Business academic advising team is ranked number one among public business schools by Poets & Quants. The ranking is based on a recent alumni survey of the effectiveness of our advising team. Our high-quality advising support is why so many Pitt Business students pursue double majors, second degrees, cross-disciplinary certificates, and complete study abroad experiences, professional internships, and co-curricular experiences. Pitt Business follows a Personalized Advising Model to help each student create their own plan for academic and professional success. A key feature of this model is our deployment of the CliftonStrengths assessment tool to help students develop and build on their innate capabilities. Widely used by thousands of corporations around the world, CliftonStrengths is about discovering, developing, and using an individual’s talents for professional success and well-being. Every Pitt Business academic advisor is trained in administering CliftonStrengths. By working with the same advisor throughout college, Pitt Business students develop a meaningful and supportive bond with their academic advisors. Student advising appointments are held a minimum of once per semester. Our advisors are also accessible via email and pride themselves on a fast response time to student questions. In comparison with many business schools, we maintain a low advisor-to-student ratio.